Time to bring you guys up to speed. Earlier this spring, Jamie noticed that there were a pair of geese that were starting to nest on the roof of the elevator shaft on the building across the street from us. This rooftop is seventeen floors up and has an almost two foot ledge all around. 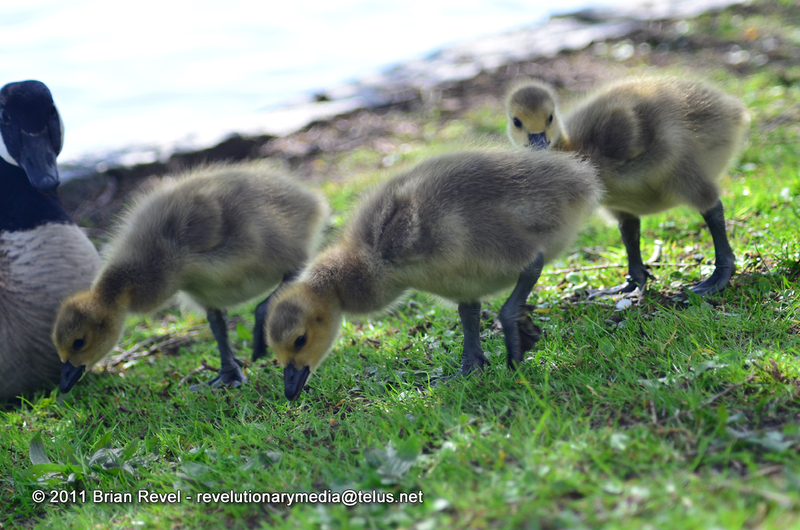 The problem became clear when the goslings hatched. 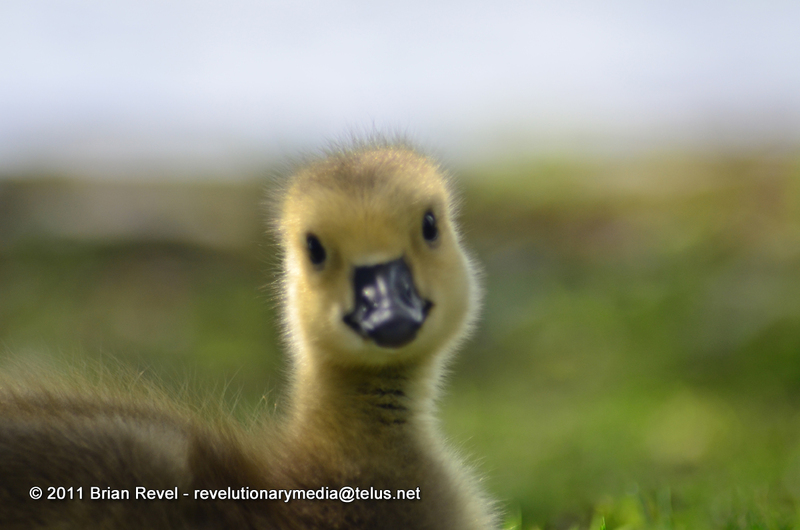 You see, unlike most birds we know of, geese don’t forage for food, bring it back and regurgitate it for their young. Instead, within a couple of days, they instinctively walk their babies to grass and water. That’s easy when you don’t have a two-foot ledge to surmount and then a seventeen-storey plunge to survive. 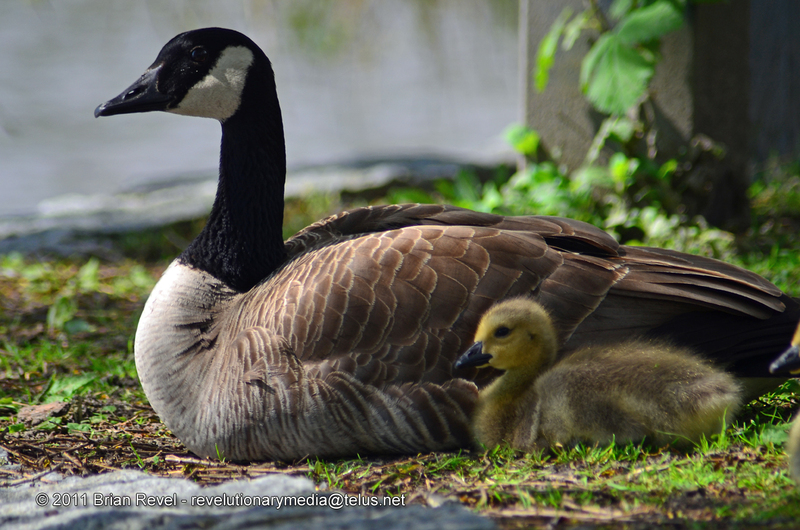 While the goslings pecked at the gravel on the rooftop- completely susceptible to the elements… and other birds, residents carried on their lives completely oblivious to the little drama unfolding across from our bedroom window. So Jamie and I decided we had to do something about it. We notified the building caretakers who bravely climbed up onto the elevator shaft roof, chased the parent geese away and put the goslings into a box. They carried the box down onto the grass beside the building and miraculously (but not surprisingly- those little chaps can sure shriek!) found their little ones and immediately started to lead them to water. First it was to the reflecting pond at our apartment building but that wasn’t good enough for them, apparently, for they immediately started to move on. By now there was quite a crowd assembling and so everybody herded the geese back to Haro Street and the parents’ started the seven-block odyssey down Haro Street to Lost Lagoon. Still learning the ropes around shooting video with my Nikon D7000, I shot some footage and made a YouTube video. That was a couple of weeks ago. 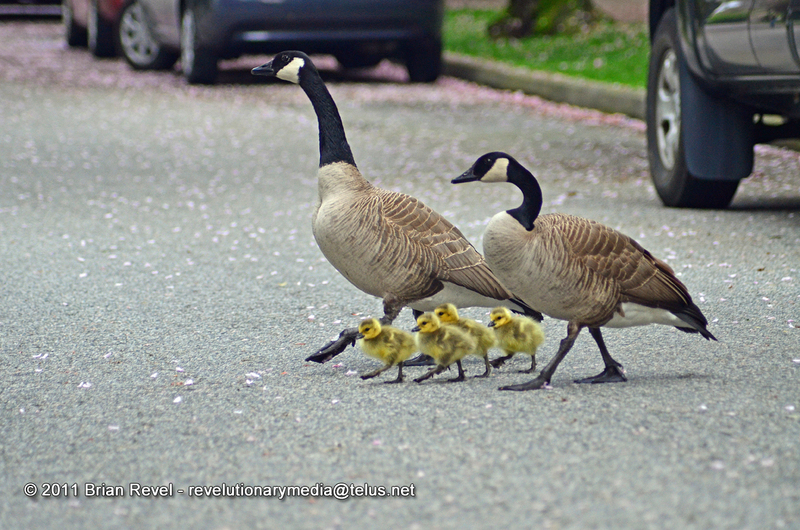 Today, while strolling through Stanley Park, not even thinking about the family we saved as we were on our way to look at new shoes for my sorry feet, we happened to walk along Lost Lagoon and came across a family of geese- Mum, Dad and four goslings. What were the odds? So we stopped and watched them. I got lots of good shots- and I thought I’d share these four. Big Feet - Eating Like Birds! The family resting together at Lost Lagoon. I also include a shot here of the initial walk across Haro Street from a couple of weeks ago to compare the adults and sure enough- they match! It’s the same family for sure! How do I know they match? Have a look at the white patches under and behind the adults’ beaks. The father has a slightly squarish indentation- you can see that in the first shot above. Mum also has a black indentation, albeit much smaller, into her white chin patch. 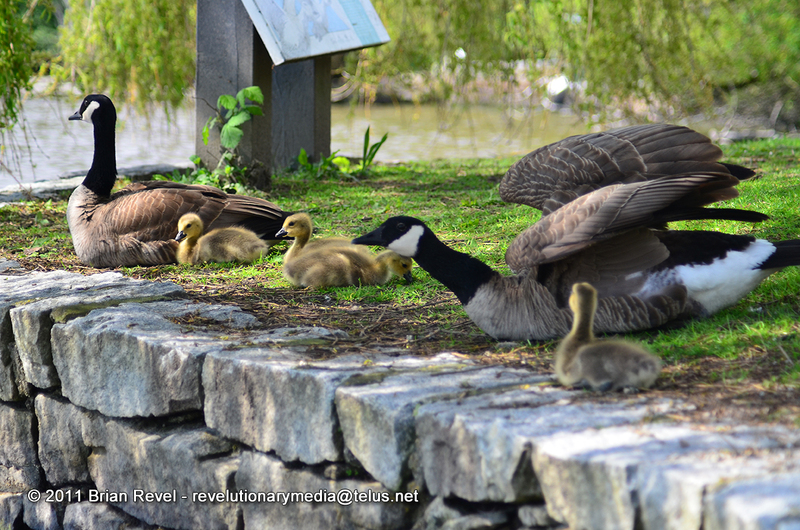 That made my day to know that we were a key reason why this family of geese were blissfully sunning themselves under the shade of a willow tree at Lost Lagoon. Jamie and I feel like proud uncles of those four now-not-so-little goslings! « Bubbles & Other Things – at last!